�Product name: aluminum 3 section with carry bag. �Shaft: 19" x 6 ribs, manual open 3 section umbrella, aluminum shaft. �Handle: spray sliver plastic handle. �Fabric: 190T pongee umbrella fabric heat transfer printing. 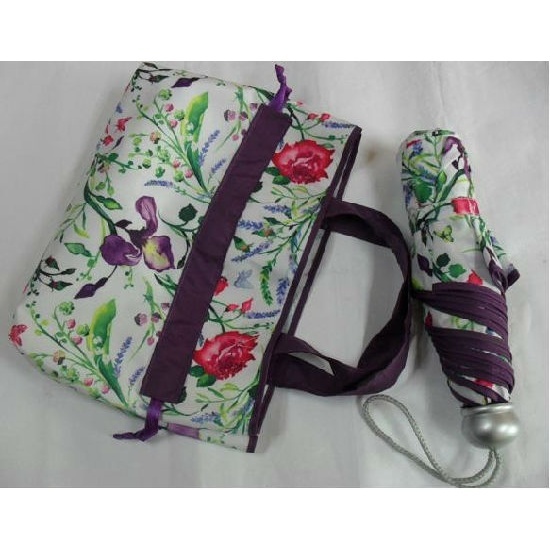 �Pouch: carry bag umbrella pouch. 本產品已上架 Wednesday 07 September, 2011.